A dark, discoloured, black tooth is a sign your tooth may have died or is partially dead, most likely due to previous trauma or deep decay. Patients with a discoloured black tooth often recall knocking their tooth in an accident some time ago which can then cause the nerve to die over time. The cause of the discolouration is thought to be decomposing blood products from the pulp inside the tooth. The treatment of a discoloured black tooth is to initially undergo root canal treatment if the tooth has not already been treated. This procedure is when the root canal chamber containing the nerve is emptied and disinfected, and a rubber filling is packed tightly inside the canal, see here for more details. The black tooth discolouration caused by the decomposing blood products is permanent, and will not go back to its original colour of its own accord, causing it to stand out from the rest of your teeth, and in turn possibly making you feel self-conscious about smiling. There are two methods of restoring the tooth colour of the black tooth: Either, by Internal Bleeching or by placing a veneer on the tooth. 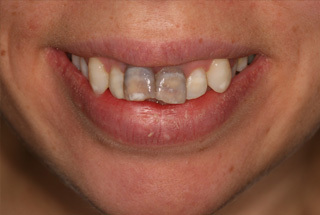 Smile Cliniq offers internal bleaching to help solve the problem of black teeth. 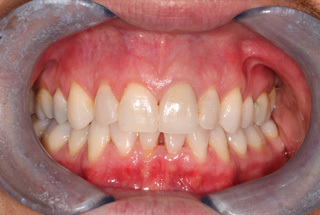 Internal bleaching is similar to normal teeth whitening, but whitens the tooth from the inside. It can only be done after root canal treatment and will improve the discolouration after one session. 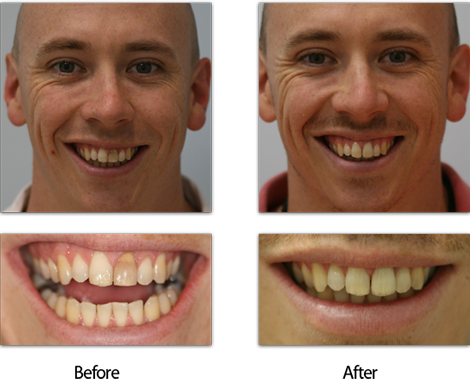 The result however cannot be guaranteed to match the rest of your teeth, but will significantly improve its appearance. 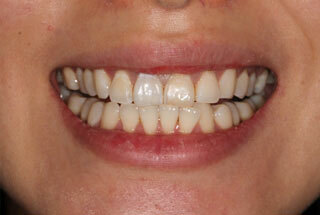 Internal whitening starts from £250 per tooth (excluding restoration). Please note in some cases a previous root canal filling maybe leaking, hence the dark colour of the tooth, in certain cases this root canal treatment may have to be redone, before the internal tooth whitening. 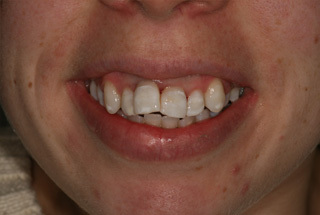 Another alternative is to place a crown or veneer on the damaged tooth. 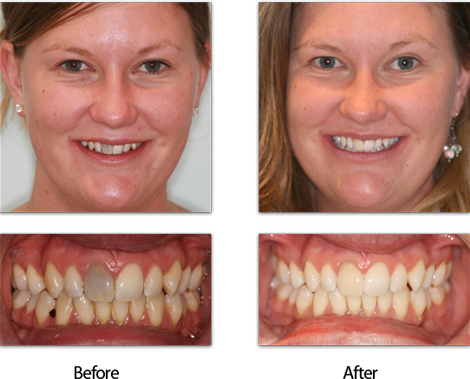 This procedure involves removing the surface of the tooth and creating a brand new whiter tooth cover that is custom made to match the rest of your teeth and their shape. This option will provide a very good result but is more expensive due to the use of high quality materials and time taken by the dentist and lab technician. Veneers start from £150 (composite) or £550 (porcelain). 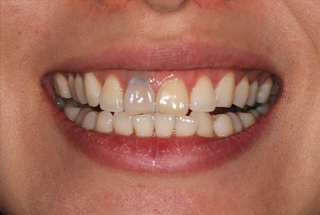 In some cases, it is beneficial to undergo internal bleaching followed by a veneer. 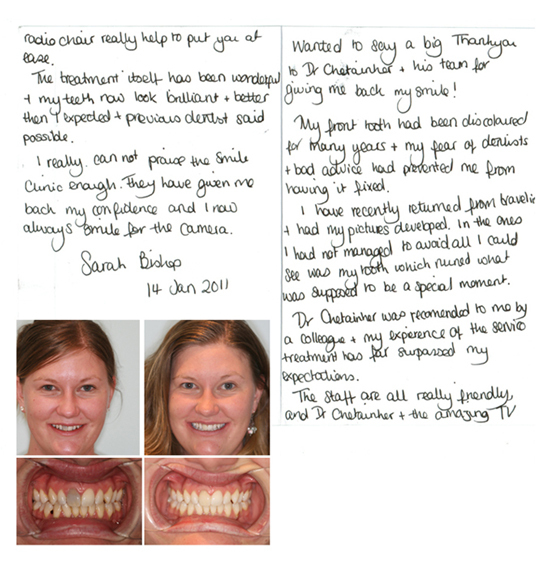 To find out more about treatment of discoloured teeth, feel free to book in for your FREE consultation by calling or send us an email at [email protected]. I injured my front tooth when I was about 10 years old in primary school. I run into one of my much taller, much bigger classmates!! I was taken to the dentist almost immediately after it happened as my lip was massively swollen, however there was too much swelling to see the full extent of the damage, but the dentist suspected I had killed the nerve and would need a root canal. A few weeks later I had the root canal done. My front tooth began discolouring a few days after the accident and continued to get darker until it became a very noticeable dark grey colour. At the time it didn’t really bother me as I was so young. 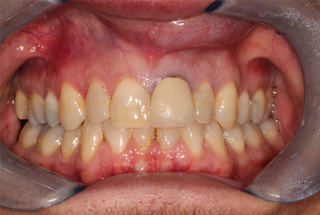 It was only in later years, when I was about 15 years old that it really started to bother me, especially when I got my braces off which made the darkened tooth even more noticeable, as up to this it was partially covered by the brace itself.